Chavez Ridge in Elysian Park behind Dodger's Stadium chewed me up and spit me out. 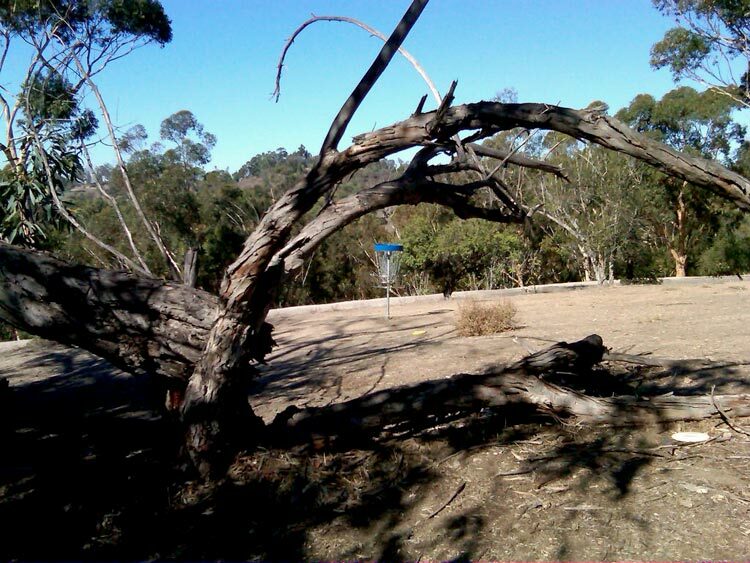 Don't be fooled by the short holes on this course. 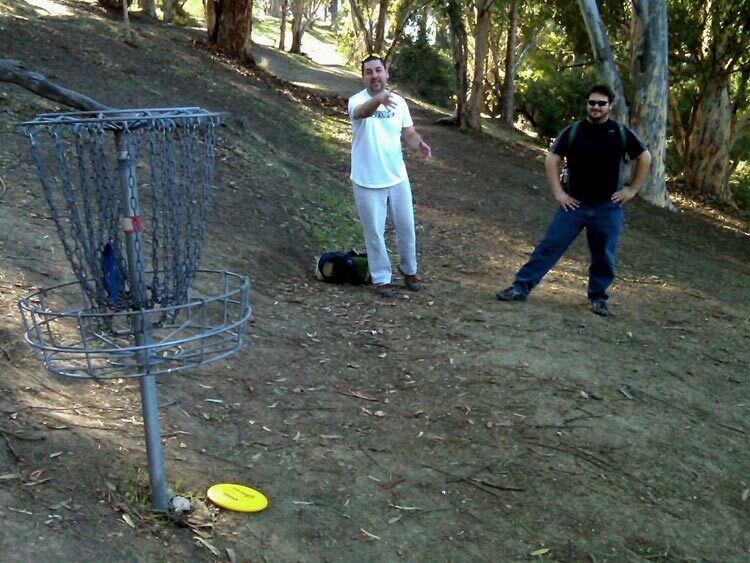 At any hole, your disc can hit a tree, the side of a hill or the basket, catch an edge and roll hundreds of feet down very steep ravines. They call it "getting Chavezed" and that's just what I got. Several times. As I pulled up to hole 1, I dumped into Eric and Tosh who graciously let me tag along and filled me in on the ins and outs of the course. Eric nailed it when he described the holes as short, but treacherous. 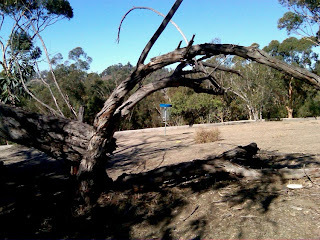 The course is challenging as it really makes you focus on choosing the right throw for each shot and demands accuracy. 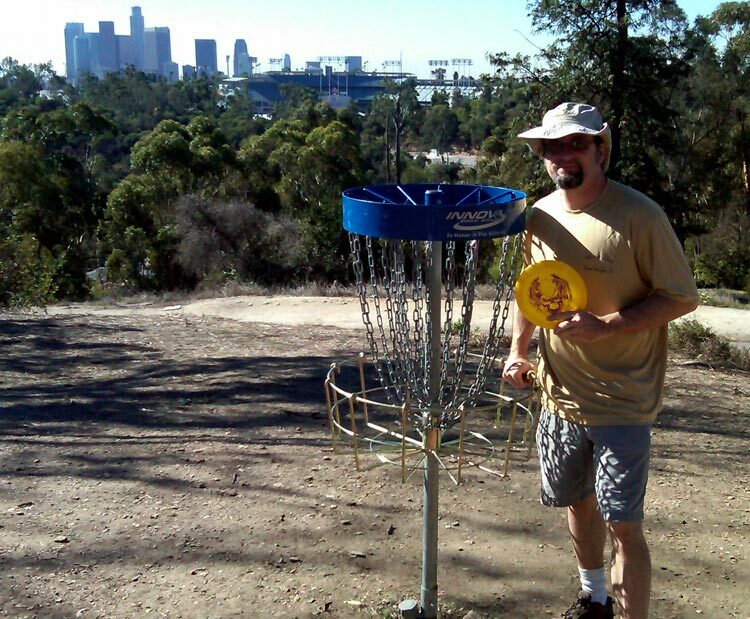 My old man knees were feeling some of the steep up and down hiking, but Chavez Ridge is a fun course in Downtown LA's backyard. Here I am at Hole 18 overlooking the LA skyline and Dodger Stadium.